Economy hotel for business and leisure, only 800m walk to/from Zurich International School and there is the option of a public bus (2 stops). Both line 185 /184 stop in front of the hotel and give direct public transport connection to Zurich. 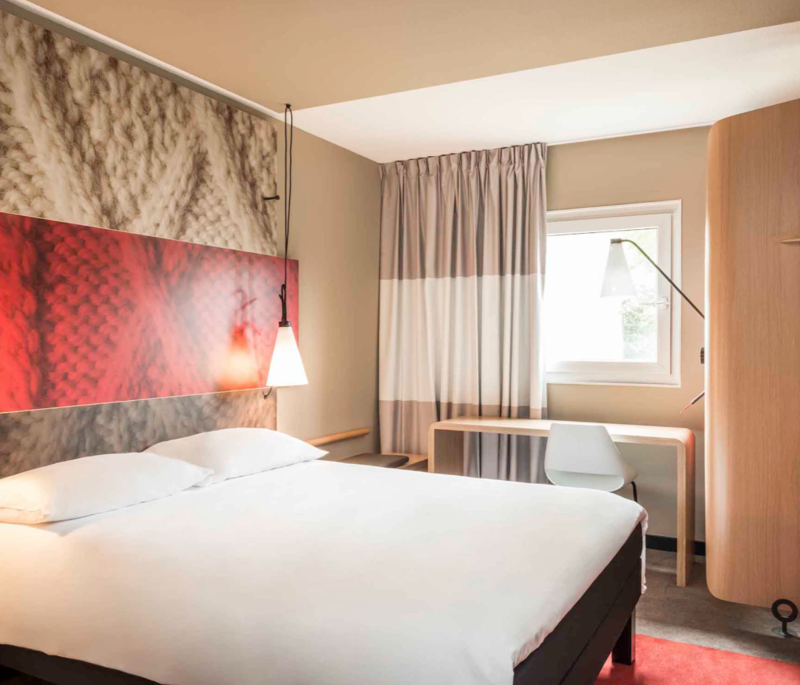 The ibis Zurich Adliswil is located in a peaceful setting on the edge of a forest and is easily accessible due to its close proximity to the A3. Just 5km from Zurich city centre and 12km from the Oerlikon Exhibition Center, this hotel is ideal for business travellers and tourists. The hotel with its 117 rooms, boasts a modern restaurant with a terrace and a bar (snacks 24/7), 80 free parking spaces and free Wi-Fi access. Special Hotel rate has ended please contact the hotel for bookings. 800m walk to/from Zurich International School and there is the option of a public bus (2 stops). Both line 185 /184 stop in front of the hotel and give direct public transport connection to Zurich and the airport. Zurich Airport has direct train connection to “Hauptbahnhof Zurich” and one ticket will take you all the way to the hotel or ZIS. Purchase a o/way ticket at the ticketing machines to “Adliswil” and you will be covered for any route to reach the hotel. Take the S4 (S-Bahn train on Track 21 (in the basement) to Adliswil (14 minute ride). Change to Bus 185 (9mins) or 184 (4mins) in the direction of Wollishofen and get off at the „Sunnau“ stop, which is right in front of the hotel. Depending on your arrival time you might have a faster connection Zurich HB to Wollishofen S8 or S24 where you change to BUS 184/185 direction Adliswil and get off at the same stop “Sunnau”. The hotel sells 24hr public transport tickets which are the best option especially for Saturday when planning on going downtown. More details on the Out and About Page.